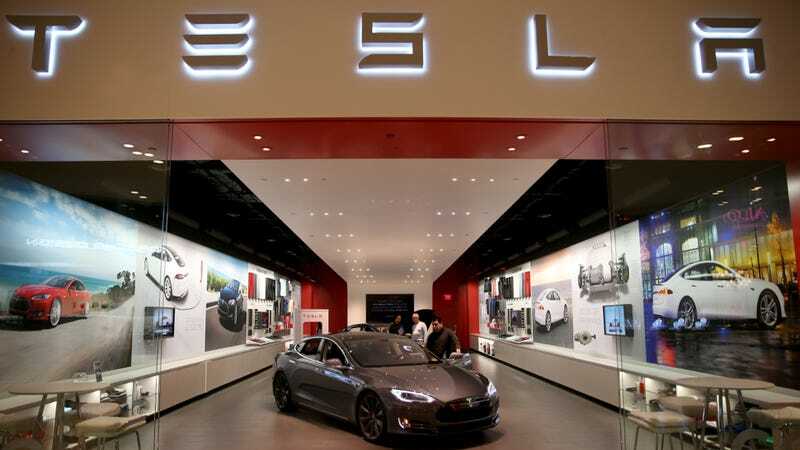 A clause that requires cars to be sold through dealer franchises is what had been stalling Tesla in a few states (like New York last year), and that is the same clause that could stop sales in New Jersey. In a hearing today, such a clause that requires cars to be sold through a distributor (aka dealer franchise) is expected to be signed and passed. The same rule would also mandate a minimum size for dealerships of 1,000 square feet and have service centers for cars on site. My home state has two dealers, currently located in high-end shopping malls. As you'd imagine, these Tesla Stores in the mall are rather small and do not have service centers attached, mainly because Teslas don't require the same level of service as a gas powered car. Most fixes are software related, and that can be done remotely. It's a backwards facing move meant to support an antiquated dealer model that is scared of what Tesla's approach could mean for their future. Instead of evolving to compete, the dealers are trying to bully Tesla out of the way. Right now, Tesla sales are banned in Arizona, Colorado, Virginia, and Texas. Other states where dealers fought for legislation to ban the sale of the electric cars failed to get rid of Tesla. Hopefully NJ has some sense and doesn't take a step backwards. UPDATE: The latest news from NJ is not positive. Tesla sales will be banned as of 4/1, according to Transport Evolved. Expect there to be a number of appeals.